home Lifestyle Another Pregnancy Prank Or Is Danielle Cohn Really Pregnant? Is Danielle Cohn Expecting A Child? 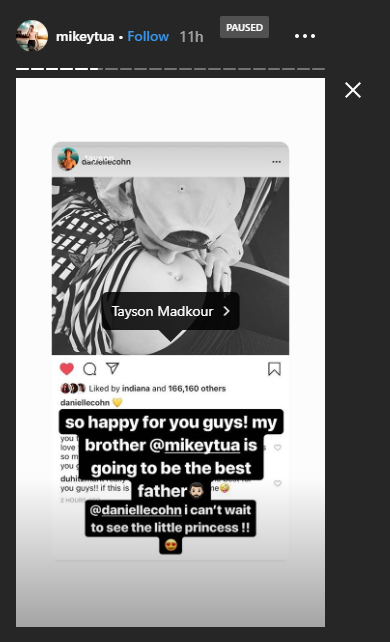 You Tuber, Danielle Cohn recently posted a picture of her belly on her Instagram account. In the picture, her boyfriend, Mikey Tua can be seen kissing her belly as if they are announcing about their new member. Within the very short period of time, they received several congratulation messages from many fans and the known faces including Mace Coronel, Jake Warden, Mark Thomas, and Angelic. She was also criticisms only because of the fact that she became pregnant at the very young age of 15. Danielle Cohn got comments on her pregnancy revelation picture. 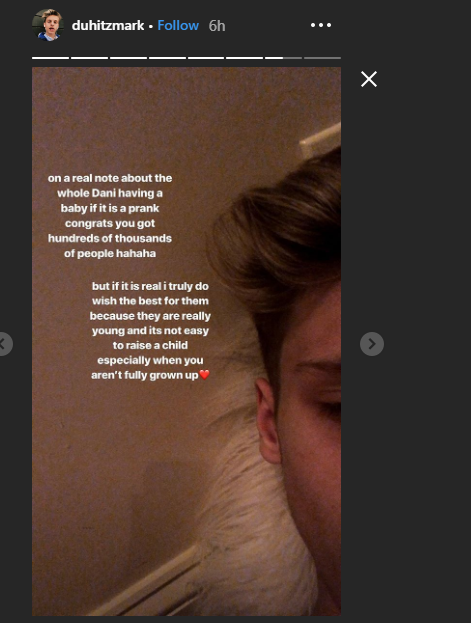 Meanwhile, many of the fans even claimed that they were making a prank just like Justin Bieber and wife, Hailey Baldwin did on the day of April Fools. Soon after that she again posted another comment where she wrote, ''If this is a prank it was very well play.'' The star even posted a mute video where Danielle is supposed to annouced her pregnancy as she was rubbing her belly in front of her friends. Angelic's comments on Danielle Cohn's picture. Moreover, Mark Thomas also did some similar stuff. First, he congratulated the couple and later mentioned that it was a prank in his story. Mark Thomas' Instagram post where he revealed that the pregnancy news was just a prank. And now, everyone has a similar question in their mind that is the couple really expecting a baby. Well, it is still a mystery. Scrolling the Instagram account of Danielle and her boyfriend, they neither accepted that it was a prank nor denied it. 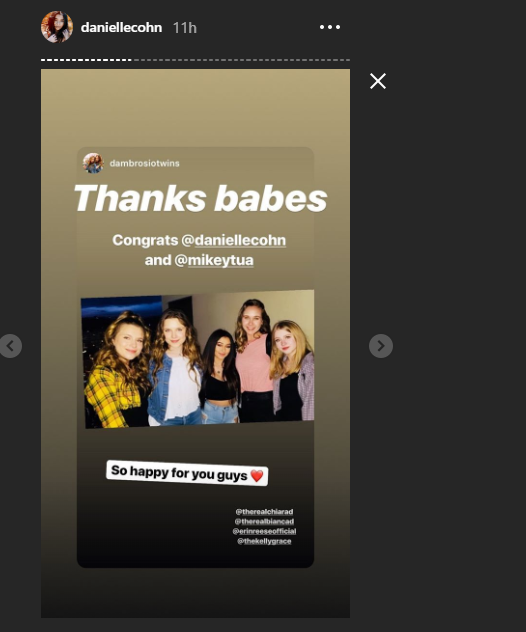 They instead posted the congratulation messages on their story. If they are really expecting then will they get married at the very young? What do you think? Stay with us to know more about the couple and their new member.